Video card drivers, also known as "Graphics drivers", are very important for your computer. The basic need of drivers is that they tell the operating system how to operate the video card. Without them, you'll not be able to see your Windows screen. In the same way, if sound drivers are missing, you may not hear any voice or sound from your computer. It's very important to keep your drivers up to date otherwise, some of the functions may misbehave. Now for instance, if some games or software aren't working properly in your computer or they crash after opening the window, this may be due to the outdated version of your video card drivers. High graphics games and software need latest drivers to work smoothly. 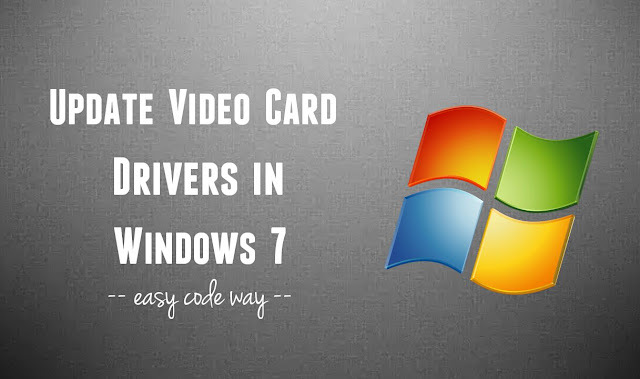 If you're looking to update your video card drivers, then this tutorial will guide you how to update them easily in Windows 7 operating system. First of all, click the start menu button and open Control Panel. Now change the view by mode to "Large Icons" as shown in below picture. 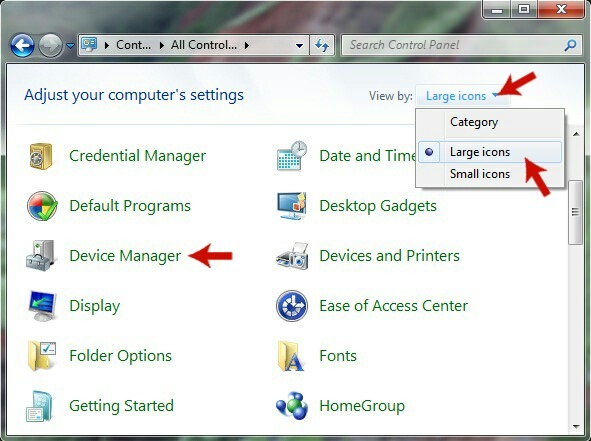 Here find the "Device Manager" option and open it. A new window will open. Find "Display adapters" option and click the arrow icon left to it. 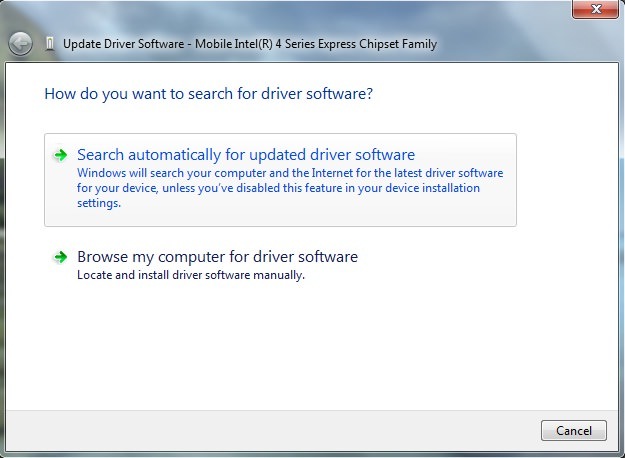 Now right-click on your current driver name and then click "Update Driver Software" option. After this, click "Search automatically for updated driver software" button. You can also install them manually with second option. 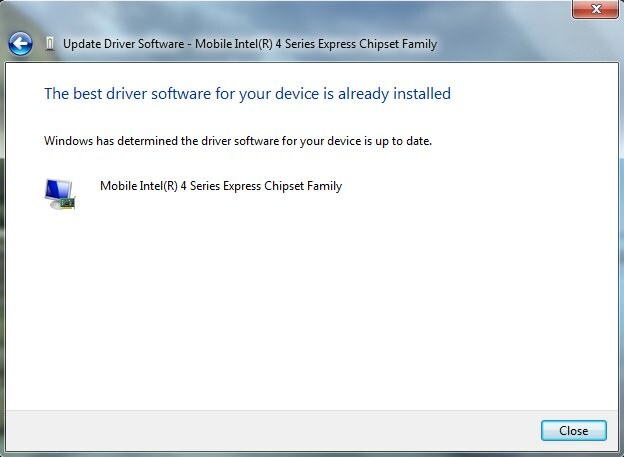 The best driver software for your device is already installed or it is up to date. If this was your problem, please check your Internet connection and try one more time. To update these drivers, your computer must be connected to the Internet. Try to open Google in your primary browser. If Internet is working, then definitely you'll not find such errors. If the same problem persists, then most probably your drivers are already updated and problem is somewhere else. In that case, you've two choices. 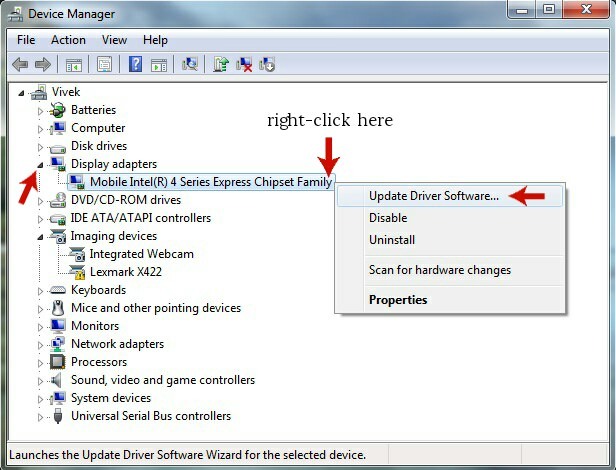 If you think that the latest drivers are available, you can install them directly. Otherwise, go to your service center and tell them what problem you're facing. In this method, we'll first download the drivers file from the manufacturer's website and then install them manually. Before starting, first you've to gather all information about your current video card drivers (Generally their name). For that, you can run a dxdiag tool or find the driver name from first method at 5th step. Now copy paste all the details in Notepad and open your primary browser (such as Chrome or Mozilla Firefox). Now go to Google homepage and search for your manufacturer's website. Here find the drivers or download section and enter your video card details. After this, download the latest update and save it on your Desktop. Now open the downloaded file and follow on-screen instructions to complete the installation process. Finally, restart your computer and try to run the game or software again. It should work this time. These steps are general and they may be different for each manufacturer's website. You can Google search for individual manufacturer drivers. Tip and Warning: If latest driver isn't working, try using an older versions. Make sure that you're installing the right drivers for your video card model otherwise, it may crash on reboot or stuck on the same screen. Then you've to install Windows again and you may lose your data. In this way, you can easily update your graphics drivers in Windows 7. I just hope that it worked for you. If you're facing any problem, feel free to ask me in below comment box. I am always here to help you. Stay tuned for more interesting tutorials. Which video card drivers you're using?